This blog post will help you to understand app store algorithm ranking. Launching your app is half-battle won; the other half is all about reaching out to your audiences, improving the app visibility and gaining conversions, in this case improving downloads. For this to happen, you ought to be among the top 10 apps on the App store. A sure shot strategy requires goal definition, which will help plan the roadmap and the effective ways to achieve the end goal. It is important to start your marketing activities before the launch of the app. This will help you get a decent user base, even before the app is on the app store, thus allowing you to inch in on the popularity you have achieved. 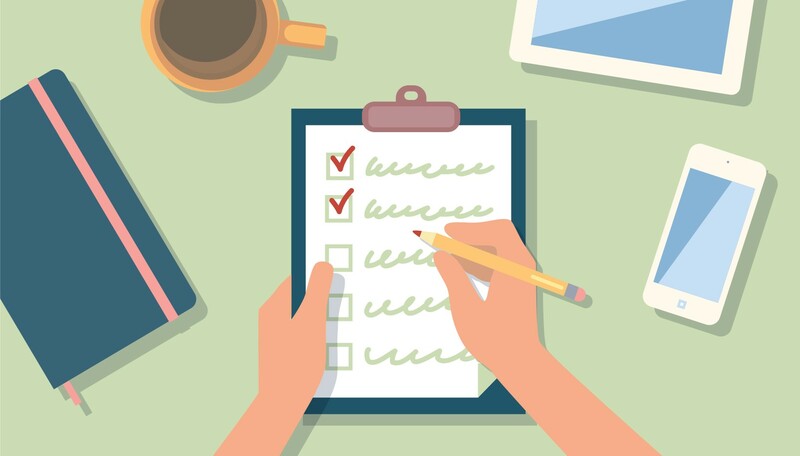 Here we will take you through the pre-launch and launch marketing strategy checklist that ought to give your app the reach it needs. Landing Page: You should have a landing page for the app you are about to release. The landing page should generate curiosity and help the user learn more about the app. The landing page is also your first connection with the prospects. People will sign up, if their interest is piqued, to know about the app as soon as it arrives on the App store. Keep the design as clean and crisp as possible, in order to minimize the distractions. Allow the prospects to share the app with others. The page should be optimized, as it would receive visits from across various devices. Test the Application: Simultaneously, make sure you are testing the app according to the user behavior and app usage preferences depicted by the user. It is important that you upload a bug-free and user-friendly app to the Apple store. Anything that is not optimized or cleared of bugs and errors will not get a good response from the App store. » App Store Optimization: The app should be optimized in line with the guidelines listed out by App store. It is important to have the right keywords, headline and the proper screens uploaded with your app. This will enable to an app store to clear it for usage. » Go Social: It is important at this hour to establish a thorough social presence for your application. Make sure you are on all the relevant social media sites and have evoked a response from the prospects. You can even create a blog, and update it with information related to your release. You need to play on the interest of the prospect, and ensure you get a good consumer base to start with. » Prepare for Promotions: Promotions are very important if you want to gain traction. That’s why you need to start creating banners for the interstitial ads. This will help you target your audience better. You will need to use ad services to boost your app’s promotions. This will help with cross promotions. Cross promotions will help you gain enough traction. » Press Release: Prepare the app’s launch for the press view too. You will need to work on a press release that will help you win enough conversions to boost your app’s conversion rate. The more publicity you can cash in on, the better your online presence would be. Group Your Reviewers: You should have your eyes on the people whose reviews will matter to the target audience. Get some influencers on board for the best results. If you have a paid app, release it to the select few to allow them to use and review. The best reviewers come in the form of friends and family or closely known people. You can easily get them to review the app, and you know they won’t lie. Email Marketing: If you want to reach out to people who are in your subscriber list, through the landing page by adding call to action, make sure you send them an email about what to expect. You can even mail them a day or two before the launch, to make sure they reach to the store to install the app. Localize the App: Before launching it to the app store, make sure you have localized the app in order to give it more traction more potential users/potential customers will download the app from google play or from iTunes. Promotions Everywhere: You will need to heighten your promotions at this point. Have a video made right before the launch, and post the video on all social networking sites. Leverage your audience on YouTube at this point.You will need to notify everyone that the app is live. Make sure you have notified the media that the app is live so that they can convert the news and make everyone in the audience known to the fact. Turn on all the cross promotions you have created. Test App Links: When you are launching the app, make sure you check the app links you are posting before you do it, so that the launch day does not become a fiasco. Submit Press Release: This is the day when you submit the press release you have worked upon. Connect with media contacts to work on promoting the app launch activity. Add to Email Signature: The app link should be part of the email signature so that you can spread the word via email too. Tie-up with Bloggers: To get more attention, you might want to tie-up with the top bloggers, who can give your app some weightage and will win over the conversions. Influencers: Reach out to the influencers in your network, and make sure they can spread the word across the land about the launch of your app. Post-launch, you will need to continue promoting your product, not as heavy as during the launch phase. You will need to make sure you mention the audience about the updates that you are planning in the application. Keep the audience on Instagram, Twitter and Facebook updated with latest on your app. Don’t forget to respond to the customer’s emails, as that will boost your efforts towards conversions. Use analytics to keep a check on the performance metrics of the application, and know how to improve it further. If you want end-to-end services for your mobile app development, starting with idea validation to actual deployment and marketing strategies, connect with us. Our team will respond to your needs immediately.